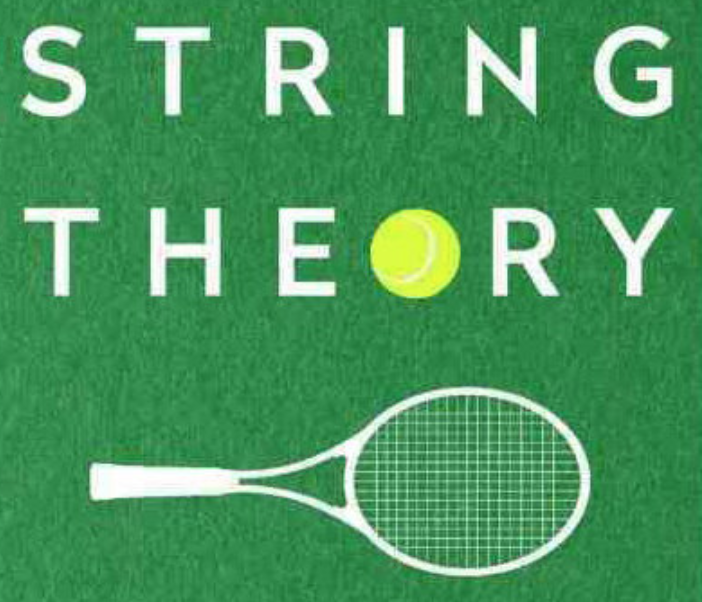 String Theory is a collection of David Foster Wallace’s essays on tennis, so it involves many unusual metaphors, multiple lists of the names of corporations, and much usage of the adverb “complexly”.1 It’s also an example of good writing that defies almost everything I was ever taught about good writing. At least in my experience, the writer high school English teachers most want you to emulate is their thoroughly-stereotyped version of Hemingway. They want short sentences, full of punch. Be to the point. Don’t get flowery. Don’t get me wrong, this is good advice.2 My writing could definitely use more of it. Instead of waffling around, vaguely gesturing at an idea, I’d love to be able to point it out directly every time. Especially in technical writing, this would be a gift rather than a curse. I’ve got a long way to go in improving my writing, and this shift in style could be a key improvement. Examples abound in String Theory. The abbreviations range from the merely unnecessary (“w/r/t” instead of “with respect to”) all the way to the just-made-up-but-still-unnecessary (“v.b.” for “very big”). College math evokes and catharts a Midwesterner’s sickness for home. I’d grown up inside vectors, lines and lines athwart lines, grids—and, on the scale of horizons, broad curving lines of geographic force, the weird topographical drain-swirl of a whole lot of ice-ironed land that sits and spins atop plates. The area behind and below these broad curves at the seam of land and sky I could plot by eye way before I came to know infinitesimals as easements, an integral as schema. I’d expect nothing less from the writer of Infinite Jest,4 but imagining that the above was produced by Hemingway evokes a chuckle rather than any sincere consideration. The selection above gets a Flesch-Kincaid (the readability grade-level score familiar to anyone who’s tinkered enough with Microsoft Word) of 13.6, whereas my writing up to that point is an 8.6. Somewhat humorously, the little segment exemplifying Hemingway is a 2.2. My point here is not to say that great writing is that which follows all the rules, then throws in some polysyllabic words and tortured metaphors. DFW breaks rules all the time. He starts sentences with “And” and “But”. In his more descriptive moods, he toes the line between complex and run-on. As for all great writers, grammar is a suggestion, but musicality takes priority. A better theory of grammar, the One Rule to Rule Them All,5 is “it can stay if it sounds good”. Notwithstanding issues of how we get everyone to agree how something sounds, this tends to make writing better despite often ignoring more fundamental rules about conjunction and preposition placement, or where commas should go. Especially when writing fiction, the fun of reading far outweighs the mechanical concerns of grammar. There has been almost as much writing about how the rules are meant to be broken as there has been kvetching about their misapplication, so I’ll try not to belabor the point. Just realize you can break the rules too in the pursuit of better communication. Great writing is not a secret club where you get rule-breaking passes upon attaining mastery. Rather, mastery itself is often determined by how much you can break the rules and get away with it. Yes, I’m doing this on purpose here. It’s actually quite fun to write in this way, because your asides can be as long as they need to be. In String Theory though, (unlike certain other works) the footnotes act as footnotes usually act* and provide a bit more technical explanation, although some of them exist just for fun. *This excludes the footnotes to the footnotes, which are clearly just for fun.